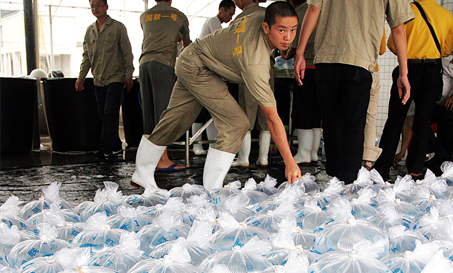 The Wuchuan Tilapia hatchery was one of the first to achieve BAP certification in 2015. It is part of the 80 hectare facility that has three main systems; The Tilapia breeding base, farm demonstration area, and Tilapia hatchery and research center. 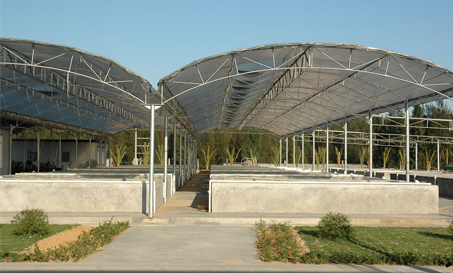 This hatchery consists of both indoor tanks and ponds where fry are developed to produce consistently high yields, uniform sizing and disease resistance. Over 500 Million fry are produced annually from Broodstock that are developed for consistent sizing, fast growth and disease resistance. The research center benefits from co-operation from the Freshwater Fisheries Research Center of the Chinese Academy of Fisheries Sciences and the Guangdong Ocean University. It is dedicated to long term sustainability of the Tilapia farming industry.